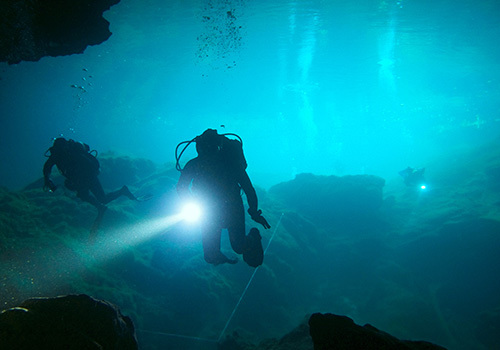 For commercial divers, hazards of the job extend well beyond the typical risks associated with spending long periods of time underwater. These divers face additional challenges in unpredictable environments, including poor visibility while working with machinery and power tools. 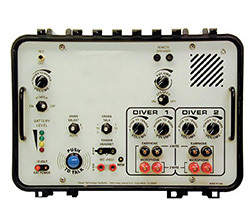 To help enhance the safety of these fearless divers, who are members of law enforcement, search and rescue teams or construction crews can use an intercom system incorporated into their full-face diving masks. Unlike traditional SCUBA masks with a separate mouthpiece, full-face masks offer benefits, such as fog-free operation, increased comfort and the ability to use an intercom system while underwater. These systems can vary in complexity, and use one- or two-way communication. But are well worth it thanks to the additional layer of safety and control they provide. Because divers are needed in a wide range of high-stakes assignments, a dead battery could literally be the difference between life and death. 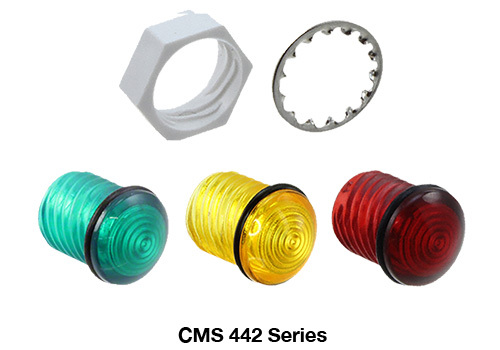 These intercom systems must be reliable in rough, wet conditions, 24/7. By using colors instead of text on a control panel to communicate battery status, reaction times can be greatly improved. No matter the industry or application, VCC has the industry expertise to quickly find the ideal product for your design — whether you need a standard product or something that hasn’t been created yet. Contact our team today to enhance your design and meet or exceed your goals. To maximize efficiency while addressing the client’s needs, our team specified a standard product that would provide reliable indication of the intercom’s battery status.